One thing I can't stomach is getting piss drunk on piss warm whiskey. And though I do enjoy the array of giant cubes and fancy globes and Darth Vader-shaped ice molds now available for me to chill it with, their stubborn conformance to the laws of chemistry tends to compromise the purity of my Jack and Jameson. 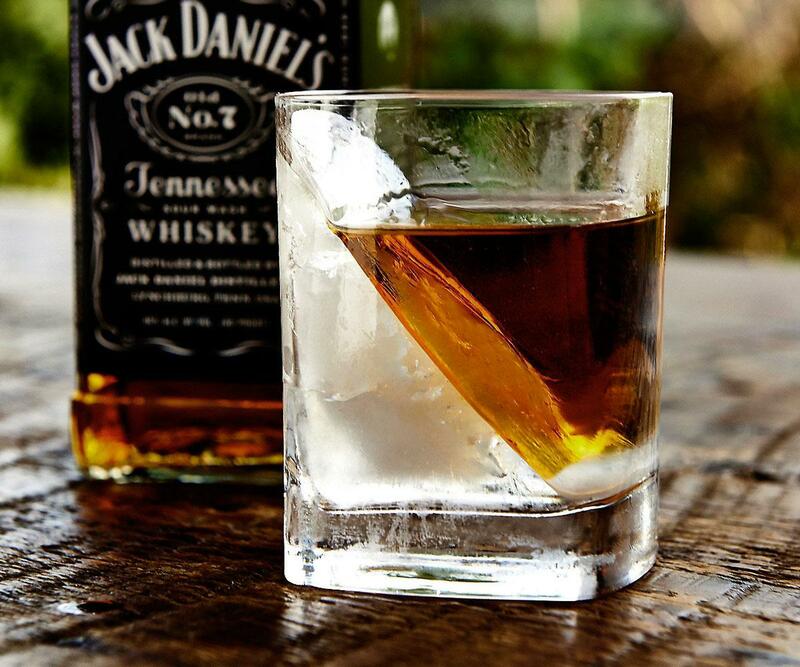 The Whiskey Wedge from Corkcicle keeps spirits chilled without watering them down. 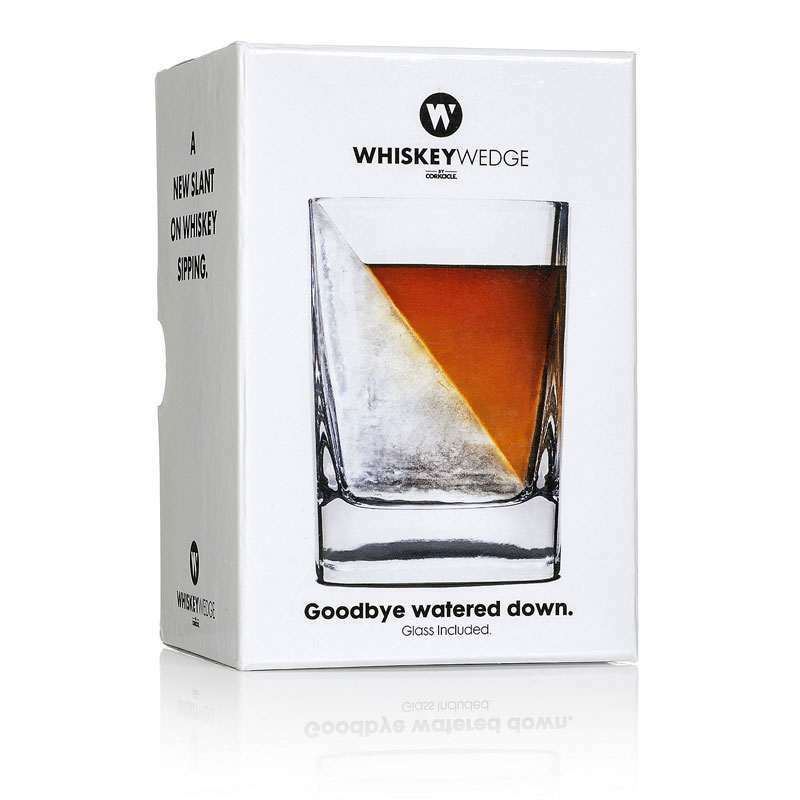 Whiskey Wedge sets include a Double-Old Fashioned Whiskey Glass and a silicone mold. To use, add water to the glass, insert the mold, and then freeze the ice into a glacier-esque wedge. 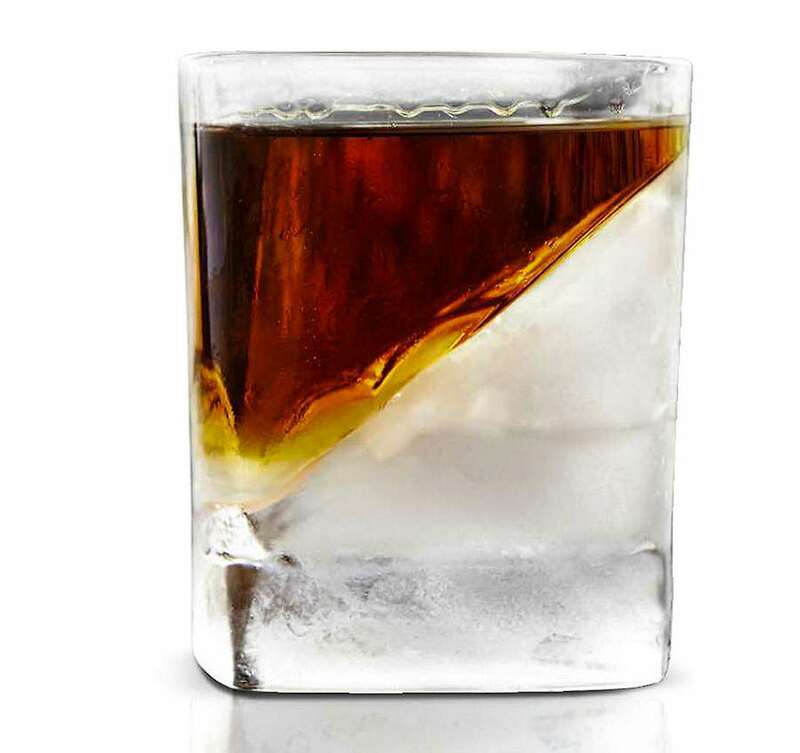 The resultant reduced surface area will slow down its melting process and, presumably, improve the overall experience of on the rocks consumption. Good for whiskey, bourbon, scotch, or tequila, the Whiskey Wedge measures 4" high x 3" wide x 3" deep and has a 1-1/2-ounce capacity.